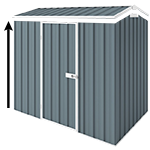 The Absco Regent range of garden sheds is manufactured from low maintenance ribbed steel sheeting and is designed to add value to your home. With a wide range of different sizes and colour options, the Absco Regent is surely a great addition to your backyard. This 1.52m x 1.44m x 1.8m single door colorbond shedis engineered to withstand winds of up to the wind rating of N2 (147 km/hr). Made from superior quality steel and manufactured in Australia. The packaging size and weight are designed to help you organise your transport if you choose our popular FREE depot delivery option. For permanent secure installation of your shed it is recommended to use anchors. Cheap Sheds supplied this shed to the University of NSW Randwick Campus and they turned it into a solar powered audio-visual installation art work that was exhibited as part of Buffer Zone Exhibition at the Armoury Gallery, Sydney Olympic Park until 31st of July 2011. Thank you so much for your continuing support and update about new materials and valuable information. 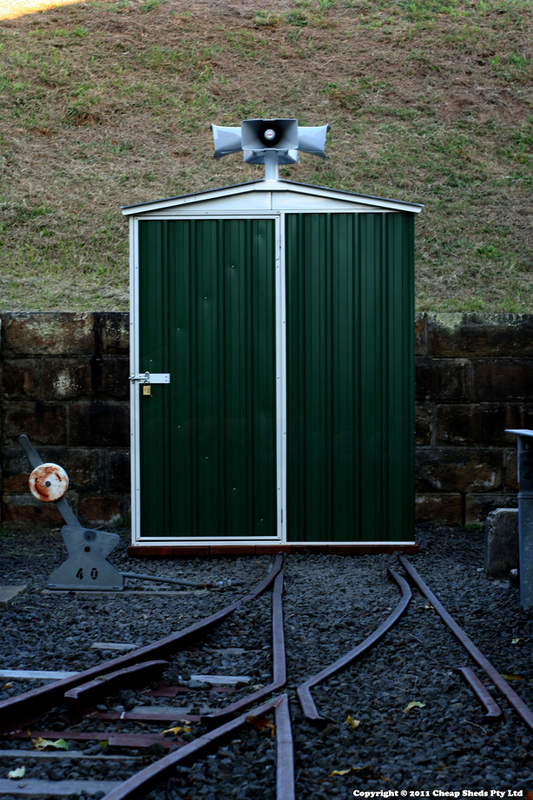 We love to show you what we did with the sheds we got from you – we turned it into a solar powered audio-visual installation art work, that is currently exhibited as part of Buffer Zone Exhibition at the Armoury Gallery, Sydney Olympic Park until 31st of July 2011. An inner sanctum protected by a meniscus of steel serves as both shelter and platform. From this safe haven the two artists explore their feelings concerning time and distance in an attempt to come to terms with cultural loss. The result is then channeled out through the skin of tin and glass. We hope you like our art work.